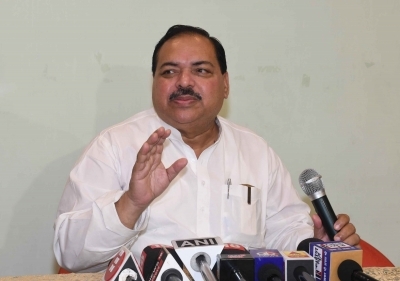 Patna, April 16 (IANS) Former RJD MP and former Union Minister Ali Ashraf Fatmi on Tuesday resigned from all the posts of the party and announced he will contest as an Independent from Madhubani in Bihar. Addressing a press conference here, Fatmi, a four-time RJD MP from Darbganga, said he will, however, remain with the Rashtriya Janata Dal (RJD). Fatmi said the RJD had earlier assured him the ticket to contest from Madhubani after the party fielded senior leader Abdul Bari Suddiqui from Darbhanga. "Now it is for the party to give me symbol to contest from Madhubani. I will wait till April 18." Congress leader and former Union Minister Shakeel Ahmad on Monday said he will contest the Lok Sabha elections as an Independent candidate from Madhubani. Ahmad was unhappy after his traditional seat of Madhubani went to ally VIP under a seat sharing formula of the Grand Alliance. As per the seat sharing formula of the Grand Alliance announced on March 22, the RJD will contest 19 of the 40 seats and the Congress nine, while smaller parties will be in contention in the remaining constituencies.